The team of workers responsible for actually fixing the bridge is made up of fewer than two dozens people. Caltrans handed over the check for what it says will take to make the long term repairs needed to the Bay Bridge's fractured eyebar. 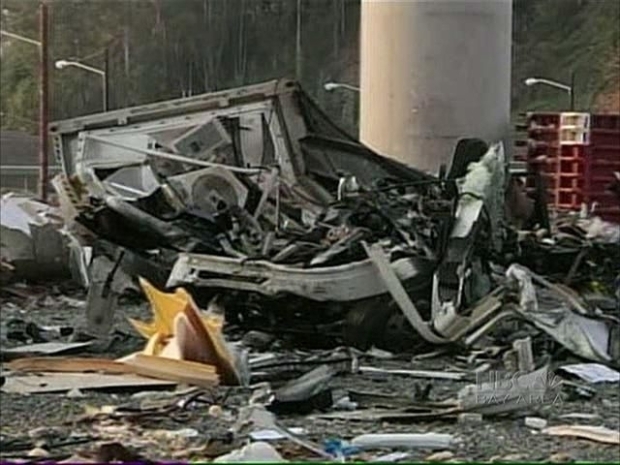 The Bay Area Toll Authority's oversight committee handed over $14 million. And that's not all. The committee also approved spending another $350,000 to reimburse transit operators for the costs they incurred for providing extended services while the bridge was closed for emergency repairs from Oct. 27 to Nov. 2. 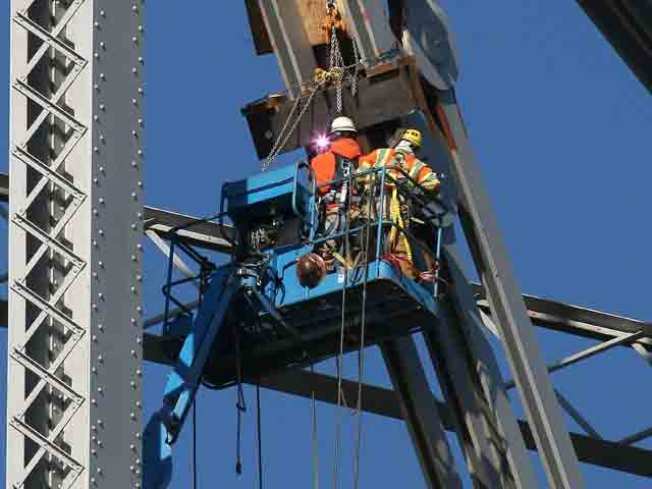 Work crews discovered a crack in the eyebar over the Labor Day weekend, while the bridge was closed so that a new section could be put in place on the bridge's eastern span. The eyebar repairs slightly delayed the reopening of the span. But on Oct. 27, heavy winds caused the temporary repair to snap, and two tie rods and a crossbar fell onto traffic on the upper deck, damaging several cars but causing no serious injuries. The bridge was closed for six days while additional repairs were made, creating gridlock for Bay Area commuters, who were forced to use other bridges or take public transportation. Caltrans announced this week that it will begin work Friday night to make long-term repairs to the eyebar. 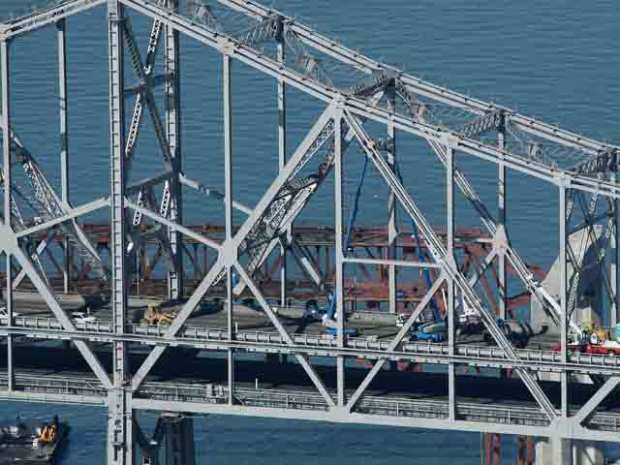 The Federal Highway Administration sent engineers Wednesday to investigate what caused repairs to fail on the San Francisco-Oakland Bay Bridge and drop 5,000-pounds of metal into rush-hour traffic lanes. The work will be performed overnight and will force the closure of three westbound lanes and one eastbound lane during those hours. Caltrans expects the work to take three weeks. Tony Anziano, Caltrans' toll bridge program manager, told the committee Wednesday that "wind did play a role" in the failure of the temporary repair on Oct. 27 and that the purpose of the long-term repair is to make the section more resistant to strong winds. San Francisco Supervisor Chris Daly, who's a committee member, pointed out that there have already been several fixes to the eyebar and complained that "it seems like the goalposts have been moving" in Caltrans' ongoing repair work. Metropolitan Transportation Commission Steve Heminger admitted that "the first fix didn't work" but said the new fix is expected to last until the new eastern span opens, which is projected to happen in 2013. "I have a high degree of confidence in the people of Caltrans," Heminger said. 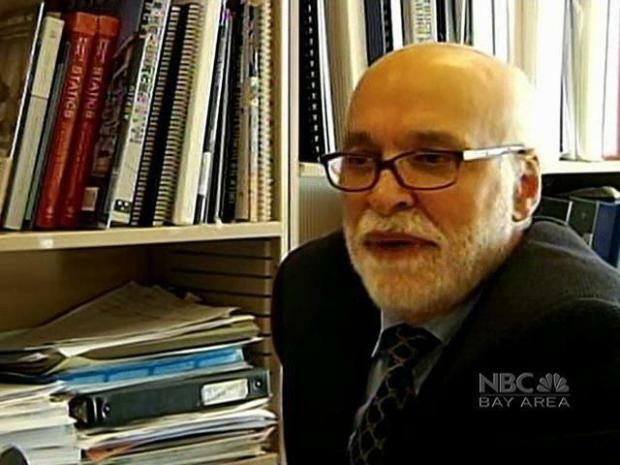 Andrew Fremier, the Bay Area Toll Authority's deputy executive director, said construction is estimated to cost $7.2 million and an additional $5 million will be spent on capital outlay support, which includes a design review and public outreach. Another $1.8 million is being set aside for contingency costs, he said.